An efficient keyboard access to Web sites is highly important for many groups of disabled users. However, the current design of most Web sites makes the efficient keyboard navigation nearly impossible. 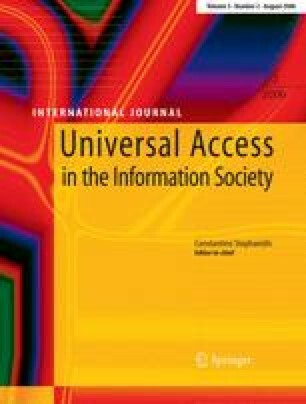 This paper investigates the performance of the keyboard and mouse navigation in Web pages. The comparison is based on the theoretical arguments and on two small studies. The results show that the current amount of keyboard support in common Web sites is far from being sufficient. Typical problems concerning keyboard support in Web sites are discussed, along with possible solutions and the related constraints.